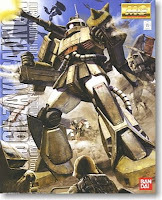 The Mobile Suit Gundam UC0079 Diorama Competition begins now!!! Click here to see the entries so far! 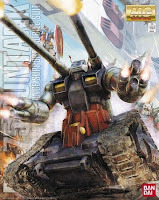 The theme as Mobile Suit Gundam UC0079 The original Anime Series is what you voted for out of over 660+ votes. You have the entire holiday season to work on your entry. Read the below and get cracking! Myself and iShop2Go will judge the best UC0079 Diorama entry we get. We want your entries portraying dynamic movement, model painting skill for the kit and also very important is showing off the work put into the background / landscape/ surroundings. One or more Bandai kit must be used. No computer graphics enhanced imagery. As part of your entry, you must show your work in progress how you made it. The quality of your presentation will also count. All entries must be posted as a video response via this link and must be in before Feb 28th 2010 so you have the whole holiday season to work on your diorama skills and finish your projects. We will pick the winner and announce it shortly after the deadline. *As before, I can't promise that these competitions will continue. It all depends on the kind of response we get... You should treat this as the last time we ever do a competition. Come back often for the latest on what's what. 1. Entries in, on and before 28/2/2010. Winner announced shortly afterwards and will be shipped upon confirmation from the winner. 2. North America, Europe, Asia, Australia ONLY! The prize unfortunately can not be shipped outside of these regions! mail info@ishop2go.com if you want to ask where they are willing to ship. 4. The winner, is requested to be able to prove they made the diorama. 5. Use sound or music or voice or silence if you want, its up to you. This prize is 100% supplied by those fantastic lovely peoples over at iShop2go.com who are entirely responsible for this prize. Post a photo or photo slideshow or moving video as a "video response" via this link here select "choose a video" and pick the video from your YouTube account. If you have jpg format pictures... you MUST convert it to avi , wmv, mov etc... a video format is needed to be able to upload it to your YouTube account in order to submit the entry as a YouTube "Video Response". Convert your jpgs to video via Window Movie Maker that comes FREE on your XP / Vista PC or use iMovie that comes FREE on an OSX Mac. "a scene" can either be one lifted from the show or a FANTASY scene you made up yourself so long as it is using kits from the Gundam UC0079 the Original 1st Anime Series. 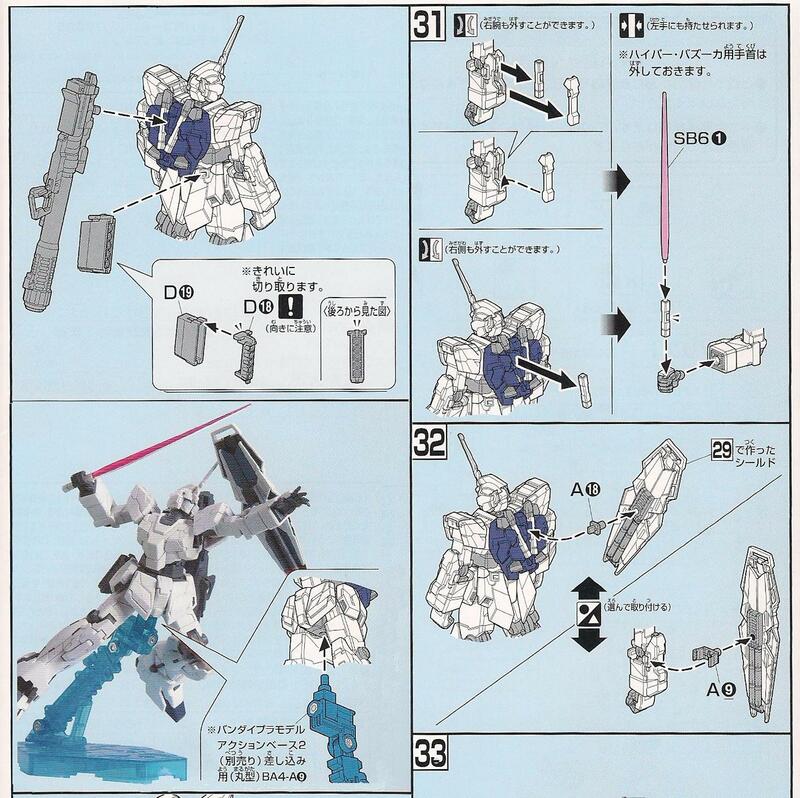 The kit used NEEDS to have appeared in that 1st Gundam Anime series. Only original Bandai plastic model kits allowed. Resin kits will be accepted. Ishop2go reserves the right to use the winning entry in part or in whole for purposes such as for advertising. The winning entry will be the one chosen as best by iShop2go and 2old4toys. Our decision is FINAL!!! BTW you can find ishop2go on Facebook to follow the latest news on the goodies they have to offer. HG Unicorn Mode has landed! So after almost 2 years, my MG Unicorn's sprues remain unspoiled in their original cellophane wrappings but I think this HG's arrival will help put my arse in gear. Released Nov 2009 retailing at ¥1500. Yes... Today I picked up the still fresh HG Unicorn, and I must say, it looks a corker! The idea is to have it partner the MG, which despite being transformable (with a great deal of effort it seems), will now most probably be destined to remain in a permanent state of Destroy Mode glory. This non-transformable HG will be a perfectly adequate reminder of it's more subdued form. There was no way I'd get 2 MG Unicorns just to display both its modes... I find it not only wasteful, I dislike building the exact same kit of anything twice. Forgive me if I digress but I can barely tolerate even the re-use of left and right limb parts in the same MG. Not in this day and age. You know... it happens where you build arms or legs only to discover it doesn't matter if its left or right sided 'cos they and are interchangeable. So... no, you'll not find me building the exact same kit twice just because Bandai release a re-issue in a different colour. Has to be said... I could not care less that the HG Unicorn does not transform. To have that feature would have sent the price of the kit skyrocketing. 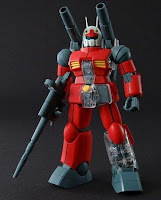 If you absolutely must have transformation then go ahead and spring for the 1/100 MG or if you have extremely deep pockets, try the 1/144 HCMPRO figure. The 1/144 HG Unicorn is not entirely inexpensive as it is... mostly because of how well they segregated the colour parts. But it is worth what they are asking. I'd much rather have a successful non-transforming kit than a semi-failed kit that transformed with a mass of parts which like to rearrange themselves whenever you tried to touch it for poses. Delivering 2 kits for 2 modes was a good move on Bandai's part. 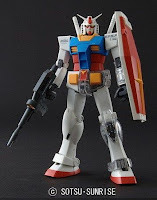 It keeps the price reasonable and that is important for the HG line. Typically... the Destroy mode would sell better anyway and those people who are only going to display in that mode do not have to pay for the engineering needed for getting the other mode they'd never use. 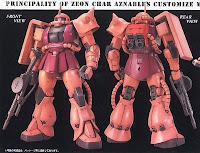 Considering the 2 open hands, 2 beam saber hands and the trigger finger at the ready hand... all very nicely sculpted, the 2 clear pink beams, and the retractable barreled bazooka... it's got a pretty nice accessory package. I'm holding off commenting on the articulation though... that may potentially be less than stellar but then again, the MG of this guy never sold on the strength of it's infinite posing abilities. My ultimate plans for my HG Unicorn is to use up what remaining pearl white that I have left over from my MG Shining Glam-dam project and have this Unicorn's blandness replaced with a subtle sparkly off-white. I have some REAL pearl paint powders I could work with on this too if I feel like it. To finish it off... a bunch of tiddly decals to adorn this guy with too. 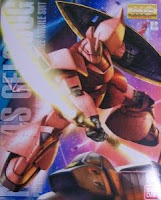 So the next Master Grade on the cards is the GN-X. Can see where they are heading with this. Easily get at least 2 other future products out of the same mold with a simple swap of the coloured plastic beads. Throw in some new accessories. I would doubt they'd use any of the existing frame work from the MG Exia. It just does not make much sense to me that they'd share the same innards. The only possible exception is the LED lighting module which has all ready cropped up all over the place (hello green MG GunTank, PG 00...) Though I would really like to see a different coloured LED in this instance. I appreciate that they are not releasing all the hero kits in one go... That'd be so predictable. Having a bad guy suit that has never seen a previous 1/100 release is a good call IMHO. Bandai's Double Oh series of kits in all scales has brought about some pretty neat technical advances to Gunpla and I look forward to seeing more surprises. This MG should be no exception. No images of any actual prototypes so far. Just old line art. My birthday socks. They have individual toes. Cute, but to untrained feet they are quite uncomfortable. Torture even. They take ages (comparatively) just to get them on to your feet... It's like putting an individual little sock onto each of your toes! Although it's cosey... I'm not used to the feeling of having each toe wrapped up and separated from one another. It's wierd. With shoes on, its less noticeable (I wore them going shopping for a day to test them out). However I believe they are intended more for in-house usage.